The word fantasy or fantasia is sometimes used in music to describe a work that does not follow any set form or pattern. It is also used for compositions that are based on another musical work. Vaughan Williams’s ‘Fantasia on a Theme by Thomas Tallis’ is also known as the ‘Tallis Fantasia.’ It was written string orchestra by Vaughan Williams in 1910 and it was performed for the first time on 6 September 1910 in Gloucester Cathedral at the Three Choirs Festival, with Vaughan Williams conducting himself. 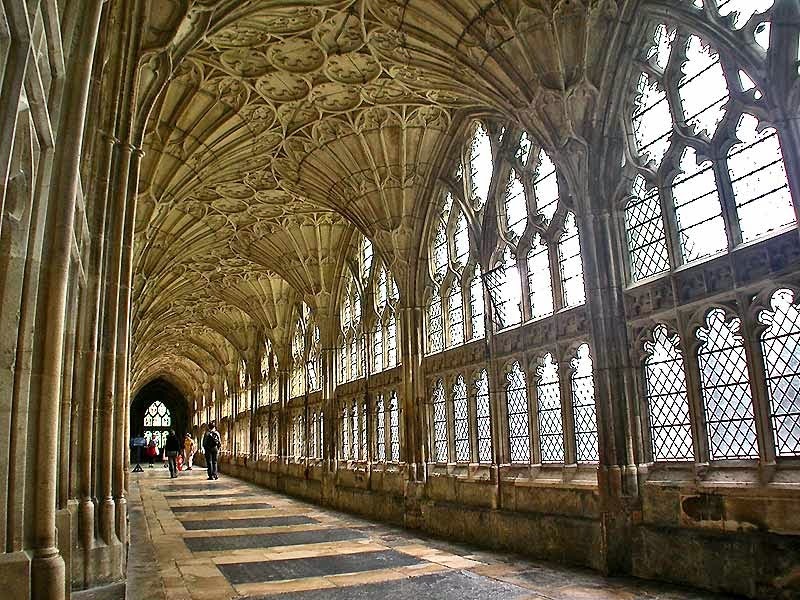 But the audience that evening also included Herbert Howells and Ivor Gurney, two organ scholars at Gloucester Cathedral who went on to become celebrated composers. Vaughan Williams had been cycling round the lanes and pubs of Wiltshire, Somerset and Norfolk since 1903, jotting down tunes and ballads from the countryside that inspired his arrangements for hymns in the English Hymnal in 1905, and the music he was writing at the time, including: In the Fen Country, his Norfolk Rhapsodies, The Wasps and On Wenlock Edge. However, his contributions to the English Hymnal were still anonymous by 1910, and the ‘Fantasia’ heralded the making of his career as well as a new clarity in his art. His A Sea Symphony would have its premiere two months later in Leeds, and he was soon on the way to composing his second, the London Symphony, as well as embarking on his first opera, Hugh the Drover, and the Five Mystical Songs. Folk music, hymn tunes, visionary literature, Renaissance polyphony and cutting-edge orchestration fused in a potent summoning of the humanist New Jerusalem. The night after the premiere of this Fantasia in Gloucester Cathedral in 1910, Sir Hubert Parry gave a speech in which he declared music to be a socially inclusive agent “to get the people from the slums to be elevated by [its] power.” Vaughan Williams, along with HG Wells and Gustav Holst, attended meetings of the Hammersmith Socialist Society at William Morris’s home. This brought him into contact with a Fabian circle that included George Bernard Shaw and George Trevelyan. Vaughan Williams went on revise this work twice, in 1913 and 1919. Yet it was not recorded until 1936. The work is his homage to the Elizabethan composer, Thomas Tallis (ca 1505–1585). Many of Vaughan Williams’s works were inspired by the music of the English Renaissance. In 1906, he included Tallis’s ‘Third Mode Melody’ in the English Hymnal, which he was editing with Percy Dearmer, as his melody for Joseph Addison’s hymn ‘When Rising from the Bed of Death’ (No 92). Thomas Tallis was a Catholic given a stay of execution among Elizabeth I’s clergy in order to take part in restructuring the Anglican church. The psalm that Vaughan Williams based his Fantasia on is short: a four-line verse which appears in The Whole Psalter Translated into English Metre, published by Matthew Parker, Archbishop of Canterbury, in 1567, nine years after Elizabeth’s coronation. spite, in fury raging stout? Tallis’s words hover, unvoiced, in the distant background to Vaughan Williams’s ‘Fantasia.’ Tallis and fellow Catholics in the Elizabethan era were entrusted with making church music accessible to untrained congregations while preserving a sense of spiritual wonder. They achieved this by drawing on popular songs and ballads, just as Vaughan Williams did for the English Hymnal. Although this ‘Fantasia’ was not recorded until 1936, later classic post-war recordings by John Barbirolli, Adrian Boult and Richard Hickox have become bestsellers. It is a regular fixture in the BBC’s Hundred Best Tunes. Vaughan Williams’s ‘Fantasia on a Theme by Thomas Tallis’ is scored for an expanded string orchestra divided into three parts: orchestra I, a full-sized string orchestra; orchestra II, a single desk from each section (ideally placed apart from Orchestra I); and a string quartet. Vaughan Williams made this configuration resemble an organ in sound, with the quartet representing the swell division, orchestra II the choir division, and orchestra I the great division. The score specifies that the second orchestra should be placed apart from the first. This spacing emphasises the way that the second orchestra several times echoes the first orchestra. In structure, this piece resembles the Elizabethan-age “fantasy.” The theme is heard in its entirety three times during the course of the work, but the music grows from the theme’s constituent motives or fragments, with variations upon them. A secondary melody, based on the original, is first heard on the solo viola about a third of the way into the Fantasia, and this theme forms the climax of the work about five minutes before the end. Vaughan Williams’s ‘Fantasia on a Theme by Thomas Tallis’ provides a bridge between the Tudors and the early 20th century. It contains many of his trademarks, particularly the way he whets his chord harmonics with the flattened seventh, a staple of English folk, and the minor third, the key feature of Tallis’s setting. 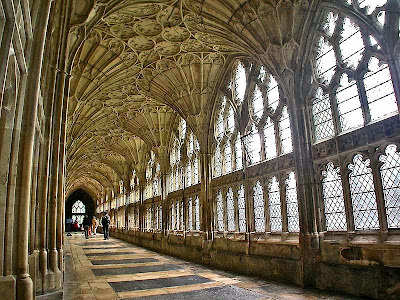 The piece is open to a rich range of readings, even fantasies, not least that it enacts and heals the rupture of English Catholicism and Protestantism. It is not rapturous, like ‘The Lark Ascending,’ composed four years later, but a solemn, controlled release, the product of a mind in visionary mode, and appropriate listening for this Saturday morning in Lent. ● On Wednesday week (25 March 2015), Vaughan Williams’s Fantasia on a Theme by Thomas Tallis is part of the programme in the National Concert Hall, Dublin, with the RTÉ Concert Orchestra (John Wilson, conductor; Jean-Efflam Bavouzet, piano).